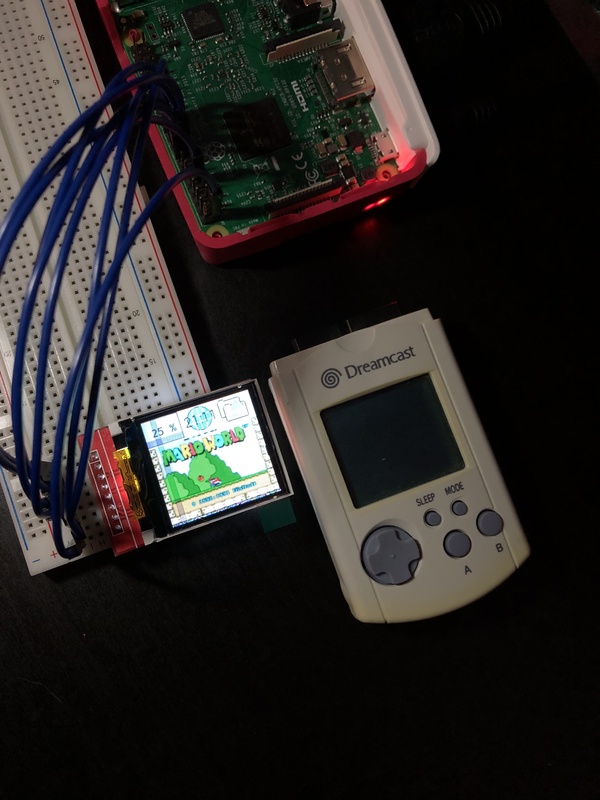 I just received a 1.44 inch TFT LCD and I have successfully connected it to the Pi using modprobe to send the framebuffer to the OLED screen. I am ready now to desolder it from the PCB but I noticed it has a resistor connected to the LED pin (possibly to prevent burning the LED out), a voltage regulator and a capacitor connected to the VCC pin. Is it safe to desolder the OLED and not add these components when building the VMU? That’s not an OLED screen, just a normal crappy lcd. Oh my bad, to be honest I don't really know the difference between both. Any ideas on the resistor, voltage regulator and capacitor question? I reccomend Just letting the whole thing be. the Voltage regulator and resistor are there to regulate the voltage and limit the current. The LED resistor does not have to be there IF you provide the correct voltage to it (this can be found if there is a datasheet). The Power regulator is also not needed IF you provide the correct voltage to it (this can also be found in the datasheet). As for the capacitor it's used for smoothing out the voltage, its not necessary but recommended when working with audio signals. You can also just trim the PCB with a hacksaw (Thats what i do if components are too large). I don't know if there's a data sheet for the one I bought, I ended up desoldering the screen and components from the PCB. The multimeter then helped me getting their resistance and capacitance. It seems like the screen works fine with a 3.3 volts input. Without the resistance the colors look a little bit blueish, I am going to try to solder it directly to the wire though. 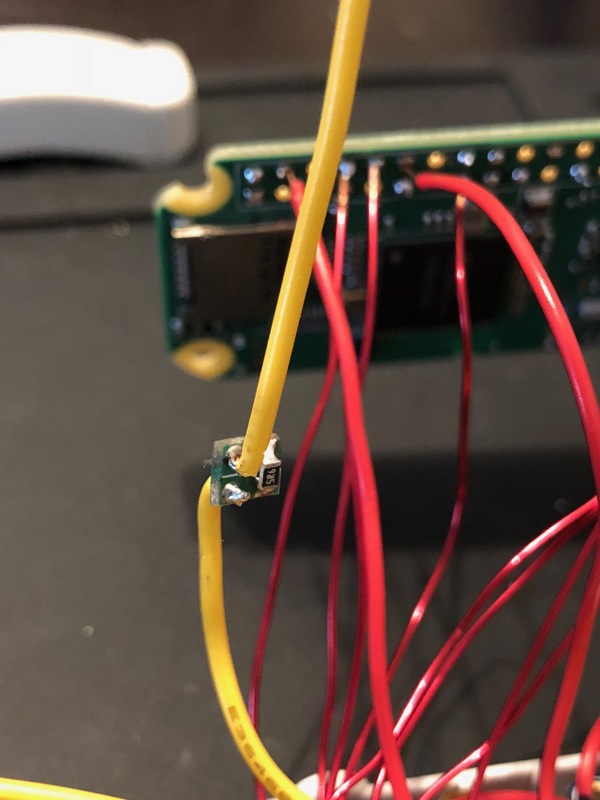 how did you wire yours? i bought the same exact screen and cant get it to work at all. not even the backlight. If you backlight looks a little blue, then you're probably over voltage on the little led. Try a 10ohm resistor for the backlight, they only need 3.2v normally, so 3.3 direct does work, but can melt them! As far as I can tell, these screens do not wait for the driver to receive images to turn the led on, so as long as you have the LED, VCC and GND connected properly, you should see the screen's backlight turning on when turning the Pi on. If not, it is possible you might have a defective screen. I ended up soldering back the resistor to avoid burning the LED.